The UK slack scene is not the most popular in Europe. However, you’ve got there a slack ripper called Jediah Doohan who is trying to push the limits of the slackline. No wonder why Jediah just entered the Balance Community pro team. We managed to ask him a few questions to know his personality a little better. How did you enter into Balance Community ? 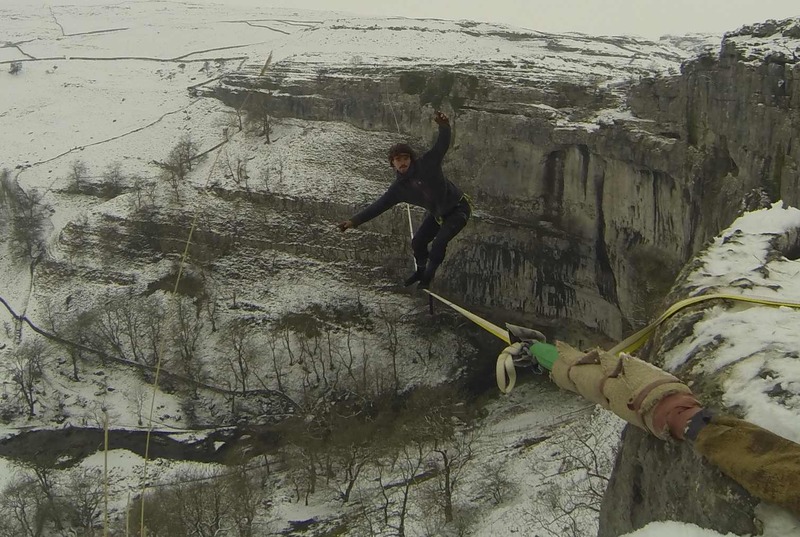 That I only practice longline and highline, I love all types of slacklining, it’s all just so much fun! I was using soft-release to de-tension a very tight 100m Nylon line at the “safety meeting” festival. I fed it through till it looked like it was almost totally loose and then let it go. The entire thing made a sound like a gun-shot and rocketed away from the anchor. Lesson learned. I now don’t free solo. I think that the wrong reasons to do it are if you are caring about what other people are thinking about you, or if you are taking pictures of it.